What Advice Would You Give Your High School Self? – Comprehensive Development, Inc.
Board member SoVonna Day-Goins brought a winning table of enthusiastic spellers. 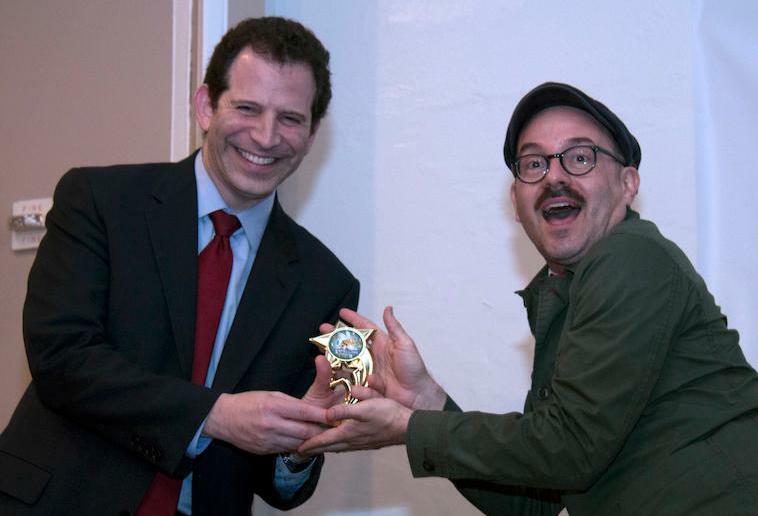 The Second Annual CDI Spelling Bee for Grownups was a Buzzing Success! 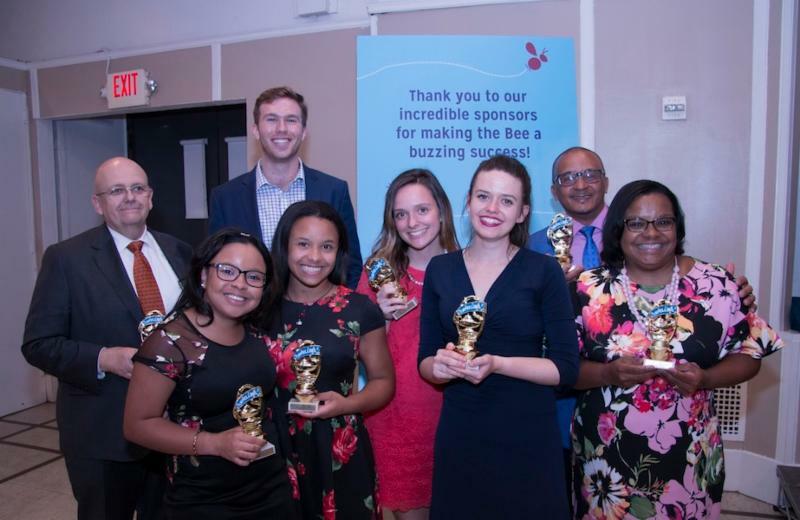 The spelling was creative, the bee-tinis were delicious, and thanks to the incredible support of our donors, we met our fundraising goal for CDI’s college and career preparation services. Click here to learn more about our winners! Jeff Hellman was the most creative speller! Jeff and SoVonna are CDI’s two newest board members. Paul Thompson, third from left, and the rest of the Men’s Leadership Group show off their custom t-shirts. 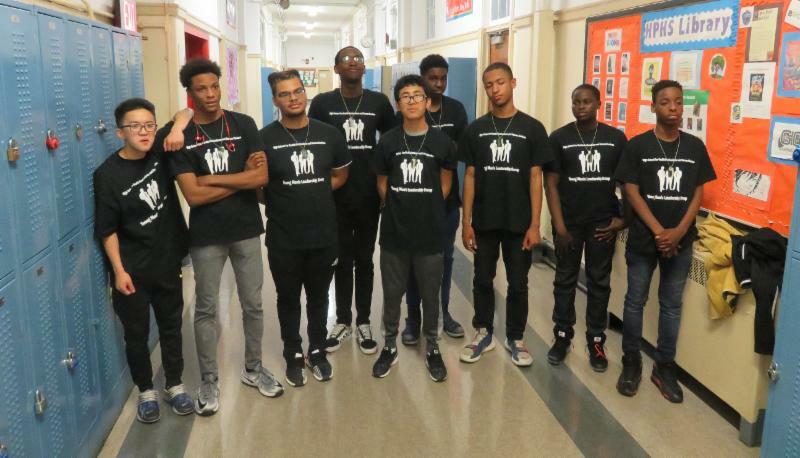 The Young Men’s Leadership Group at The High School for Health Professions and Human Services finished the year by organizing a video game tournament and service day. With the aim of bringing together their fellow students – both boys and girls – and giving back to their communities, the young men took charge of every aspect of planning. The group designed their own t-shirts, reserved the TVs and gaming systems, and ordered food for the charitable event. Tickets were free, but admission required that participants bring packages full toiletries and a handwritten note of encouragement for children in local shelters. “When we were asked to to come up with our own event, we didn’t realize how much work it would be at first,” says Paul Thompson one of the group members. “Our students come from all over the world. Many of them live on their own and may incur expenses that don’t seem major, but can still throw them permanently off track,” says Margaret Aylward, Assistant Executive Director at CDI. 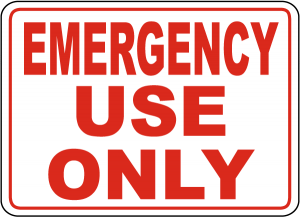 “The Lissa Florman Eyeglass Fund helps eliminate those roadblocks and is one of our most valuable resources.” The Eyeglass Fund is an emergency fund created by a longtime CDI tutor. The Lissa Florman Eyeglass Fund helps with a range of items, including MetroCards for new college students, eyeglasses, and other emergency medical and travel expenses. Funding like this is invaluable particularly to the older students CDI serves. If you want to support our young people this way, please contact us. And thank you to all of our donors and supporters! BUY! SELL! Students at Credit Suisse learn how to trade stocks. 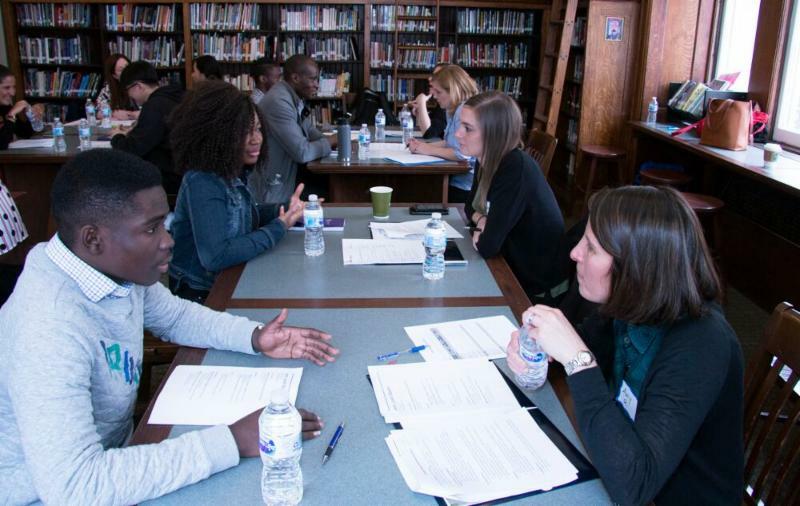 Volunteers worked with hundreds of students sharing their educational and professional journeys, giving feedback on resumés and conducting mock interviews. Students were riveted by inspirational speakers Frederick Terrell, Vice Chairman of Investment Banking and Capital Markets at Credit Suisse and Brian Ruane, CEO of BNY Mellon Government Securities Services Corp. Volunteers from Memorial Sloan Kettering Cancer Center’s HR Department practice interview skills with students at Manhattan Comprehensive. It’s not just our students who benefit. Volunteers walk away feeling just as fulfilled. “Thank you for reminding all of us the importance of both giving back and paying it forward!” as one volunteer said. CDI welcomes new volunteers and volunteer partnerships. If you’ve been thinking about how to give back and are interested in volunteering, don’t hesitate to contact us!